In this ever-growing digital world, digital marketers are faced with numerous challenges. None more so than the risk and frequency of cyber attacks. As such, assaults continue to become an everyday threat, the risks stemming from cyber attacks means companies and their customers alike are affected. And as businesses become more aware of the benefits of exposure in the digital world and take advantage of it to remain competitive, the risk grows even greater. Whether it is identity theft, phishing attacks, malware, or any other potential risk, cyber attacks present a problem in a world that has become overdependent on internet connectivity. The impacts of such attacks can have negative effects on business growth, profit and customer confidence. It’s important that businesses understand the risks and security vulnerabilities that may be exploited by unscrupulous people and groups scouring the internet for a chance to steal or misuse personal and confidential information. For digital marketers, the cybersecurity threat is an all-too-present problem that can impact all of their activities. As the value and volume of data continue to grow, and digital assaults become more sophisticated, digital marketers are faced with potentially vulnerable touchpoints that can be exploited. Brand activation companies operate in both online and offline arenas, allowing them a bird’s-eye view of current marketing realities across various industries and locations. On one hand, they can be setting up a campaign to engage customers through point of sale (POS) systems, and on the other hand they may be developing a social media app as part of a unified digital marketing campaign. Such perspective allows them to clearly see the value of protecting business data and understand that everyone is subject to security vulnerabilities and exploitation. Any vulnerabilities will have a wildfire effect, impacting connected environments and resulting in large sums of money being lost and, possibly worst of all, diminished or lost consumer trust. Indeed, cybersecurity must be embedded into all applications, not simply restricted to securing network perimeters. Brand activators, from working across multiple channels, know that when you demonstrate to your market that all the platforms you use to engage with them are secure, you are in a better position to gain their trust and loyalty. Simply put, good cybersecurity is good marketing. And as marketers work in environments that deal with sensitive information such as customer or user data and confidential information, it is vital that such risks and threats are understood, addressed and overcome. The following areas are ideal places in which cybersecurity challenges pose a definitive threat and vulnerabilities could be exploited. When digital marketing teams develop a strategic approach for their content, few consider the security breaches that may occur with such content. But as the purpose of content marketing is to attract and retain a specific audience, examining all touchpoints and security vulnerabilities are key to limiting the inherent vulnerability of an omnichannel digital landscape. Content marketing does more than just deliver valuable and relevant content. Content marketing is a key aspect of any digital strategy to build consumer trust and showcase authority. It’s a strategic marketing approach that nearly 90 percent of companies employ. As such, content marketing is vulnerable to cybersecurity challenges, predominantly through the content management system (CMS). Businesses, big and small, all employ the services of a CMS. It allows businesses the ability to rapidly deploy dynamic content, from blog posts to visual assets. But whatever CMS you employ, whether it’s WordPress, Drupal, Joomla!, or any of the other platforms, it will be prone to attacks from malicious actors looking to access your customer database and confidential information. Distributed denial-of-service (DDoS) and similar attacks can compromise critical infrastructure systems which may result in a data breach and data exposure. While CMS packages regularly update their software, it’s important digital marketers maintain best practice principles when utilizing CMS platforms. This includes administrators moderating the creation of user accounts, and who also ensure that all server operating systems and software packages are patched and up-to-date, only accessing CMS from secure networks, and enforcing a strong user password policy. In 2015, Anthem, the second-largest health insurer in the US became the victim of a devastating cybersecurity attack. The investigation into the cyber attack found a phishing email resulted in the theft of personal information on nearly 80 million customers, resulting in a data breach that exceeds the cost of $100 million. The threat of phishing scams is nothing new, but as email marketing continues to remain prevalent, so does the risk of phishing attacks. In fact, as businesses continue to transition into the digital landscape, phishing scams continue to evolve and become more sophisticated, with many targeting small businesses unaware of the security risks of phishing attacks. In terms of email marketing, when it comes to security vulnerabilities, customers tend to be the weakest link. Threat actors continuously find ways to exploit vulnerabilities, and the path of least resistance can often be found through consumers. After all, it only takes one click on a hyperlink or attachment to open the floodgates to a phishing attack. So how can digital marketers avoid becoming victims of email hijacking, resulting in a phishing attack? Ensure your ISP and servers are patched and up-to-date. Employ additional software to monitor and provide security for all your email marketing needs. Such tools will ensure the emails you send out to desired audiences are encrypted to reduce the risk of a phishing attack. The advent of social networks has changed the definition of communication and social interactions. The shift in how companies approach social media has enabled platforms like Facebook and Instagram to become digital storefronts in which engagement, acquisition, and conversion are encouraged. This creates potential vulnerabilities which have been and may continue to be, exploited. Enforcing a strong user password policy. Monitoring all social media activity. The inherent social sharing aspect found across all social media channels makes it difficult for any business to completely safeguard itself against security challenges. But with that said, fostering a security-aware culture ensures businesses are mindful of such security risks. Digital marketers must be educated and informed of the potential security risks inherent with the use of any social platform. Customer relationship management, or CRM, is a core part of any business, and a business critical application that stores vital business information. The information they store along with the processes they manage makes them a high-risk factor for cyber attacks. As their objective is to identify and acquire customer data, malicious actors will attempt to exploit any vulnerabilities in a system. Many companies today employ similar CRM systems to manage their customer databases. This includes systems such as mySAP, Oracle, and web-based software such as Salesforce. And while such systems deploy regular software updates and patches to curtail the risk of cyber attacks, compromises may still occur. Malicious actors have been known to employ security attacks such as DDoS, data breaches, identity theft, and malware. Because a CRM system is a multi-channel platform utilized by various departments such as supply chain, sales, and digital marketing, a responsibility gap often occurs. This responsibility gap creates a false sense of security, increasing the system’s exposure to cyber attacks. All together, these precautionary measures can head off any potential vulnerabilities present in such a connected environment. The high risk and potential vulnerability in e-commerce and m-commerce continue to present a challenge for digital marketers, as such concerns limit conversion opportunities and digital growth. Security flaws and online financial fraud are the primary sources of fear among consumers, and the two barriers to entry that limit the effectiveness of any digital marketing strategy. As customer acquisition, retention and growth, taken together, are the backbone of any marketing strategy, a multiple security strategy approach is necessary to assuage any fears surrounding the transactional process of any online business. The use of SSL (Secure Sockets Layer) protocols and a two-factor authentication process are two ways to dismay such fear. And while a multiple security strategy approach does not guarantee a secure transactional system, such processes are fundamental in providing robust application security. Among digital marketers, education is key to addressing such cybersecurity challenges. 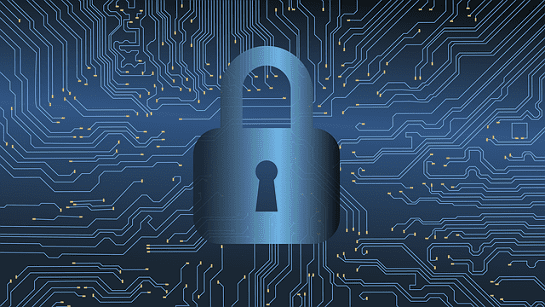 As data is shared and parcelled across various systems, platforms, and connected environments, conversations regarding cybersecurity remain paramount. The risks stemming from cyber attacks may potentially besmirch the reputation and trust that a company has meticulously built throughout its years in business. Much like a digital marketing campaign, addressing and employing strategies to protect a system against security vulnerabilities and cyber attacks require a lot of planning, time and effort. Departments, business-wide, must align to safeguard the company against the continued risk of cyber attacks and threats. Aligning departments is instrumental to effectively employ a business-driven security strategy. In doing so, companies become better prepared and engaged to deal with such challenges. One need only look at examples of previous cybersecurity attacks, as seen through Yahoo, Equifax, and JP Morgan Chase, to understand the importance of employing security measures across all digital activities and platforms. Each company mentioned had been subjected to cyber attacks. This not only crippled their critical infrastructure systems, resulting in mass data exploitation and millions in revenue lost; the incidents also severely tarnished the once-positive perception the public has had of each establishment. The damage compromised more than just financial and customer data; it also damaged their reputation as reliable and trustworthy firms. If you are unsure as to how secure your system is, now is the time to do a thorough assessment of your security system and protocols. You need to protect what you have worked so hard to build. Thanks for the great info! Cybersecurity doesn’t get enough attention in the world of digital marketing, so thanks so much for shining a spotlight on it. Alison Thanks! a lot for appreciating.